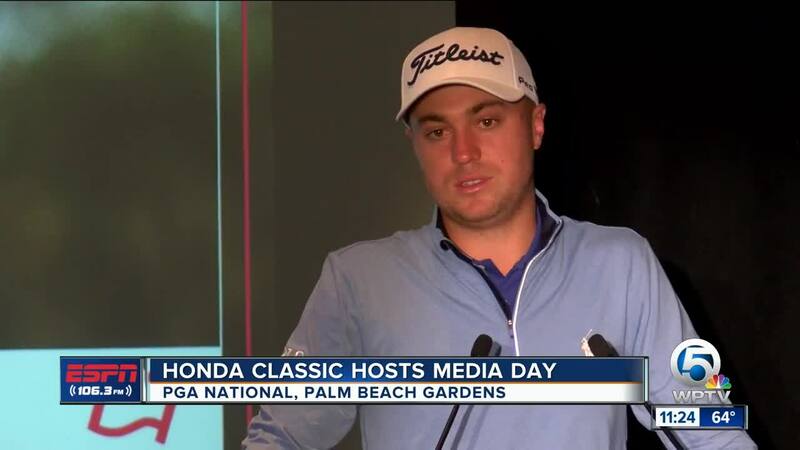 PALM BEACH GARDENS, Fla.-- It won't be long before the PGA Tour will be back in Palm Beach County And this year's Honda Classic is making it easier for you to get a great view of the action. The tournament is adding more than 20,000 square feet of expanded venues and hospitality spots, and the added space is not just about watching the golfers. There is a e-sports venue to attract teens and young adults. And when it comes to watching the golfers, the tournament has added more public seats. That includes more seating around the signature 17th par 3. "It is going to be a different look. it is going to be a better look. It will be more championship-caliber look and it will give the spectators a phenomenal view of the 17th hole," said Honda Classic CEO Ken Kennerly. There are still a few more weeks left for players to commit to playing. So far, big names like last year's winner, Justin Thomas and West Palm Beach native Brooks Keopka have said they will be there. Tiger Woods hasn't said he will be there, but the tournament's executive director has been in contact with Tiger's team. "We hope Tiger will be back. We've had some discussion with his camp. Tiger historically commits at a later date so we will see how it goes. Tiger has had some good experience here. We were the beginning of his run last year when he finished 12th here at The Honda Classic. We know he loves the course," Kennerly said. The tournament begins Feb. 28.